Take these 10 easy steps to fight plastic pollution. The new study was partly funded by the British Columbia Shellfish Growers’ Association. What are shellfish? 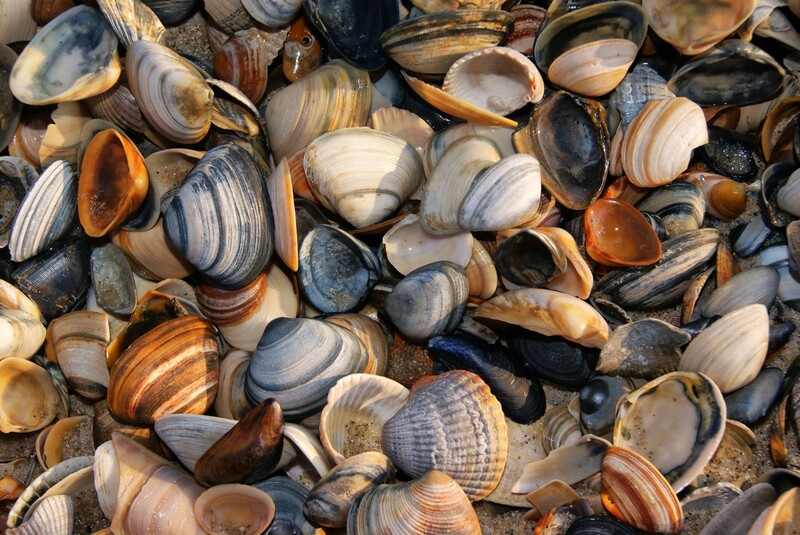 In this study, scientists studied clams and oysters at about 20 sites around Vancouver Island, British Columbia, Canada. The sites included shellfish in both aquaculture and wild locations. The new study measured the amount of microplastics clams and oysters. What are microplastics? Microplastics are just what they sound like—tiny plastic particles no more than 5 millimeters in diameter. Why are clams and oysters such good indicators of the presence of microplastics in marine ecosystems? Like most bivalves, clams and oysters are filter feeders. Oysters, for instance, use hair-like organelles called cilia to constantly draw seawater over their gills. Microorganisms suspended in the seawater provide nutrients to the oyster. Filter feeders are often considered indicator species in marine ecosystems, because they are sensitive to the tiniest change in the environment. One scientist involved in the new study said he anticipated finding hundreds or even thousands of microplastics in each oyster or clam. Why did scientists expect to find such heavy concentrations of plastic in Vancouver Island’s shellfish population? lots of precedent. Local scientists previously found extremely high concentrations of microplastics in both the seafloor sediments around Vancouver Island, and in the shellfish themselves. The latest study reported less than one instance of microplastic in each oyster or clam. Why are the new results so different than those in previous studies? different sites. The different results may simply be the results of different shellfish sites. Tides, seasonal variation, ocean currents, and changes in local human activity could all impact results. microplastics vs nanoplastics. Earlier research investigated much smaller pieces of foreign material than the current study. Shellfish in the current study could have much higher concentrations of plastic, but scientists were uncomfortable conclusively identifying such tiny fragments. So, are we overestimating the problem of plastic pollution in the ocean? Even natural fibers such as cotton, researchers remind us, can be pollutants. They can carry pesticides and other substances that are toxic to shellfish. Planet or plastic? Join National Geographic’s campaign to reduce plastic pollution in the ocean. Previous Previous post: Check out ‘Map of the Day’!